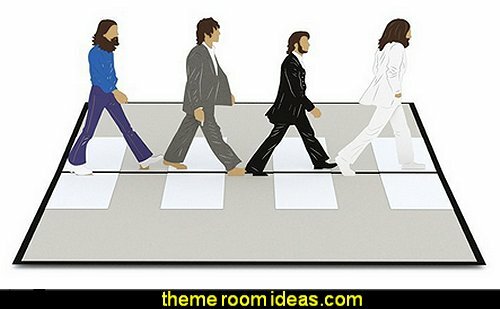 Theme parties done right will wow guests. Turn your special moments into unforgettable memories! Transport your guests to a far off location or to a fun event they'll be talking about long after the party's over. If you're welcoming home a soldier, college kid, or world traveler, create a theme party that celebrates something they really love. 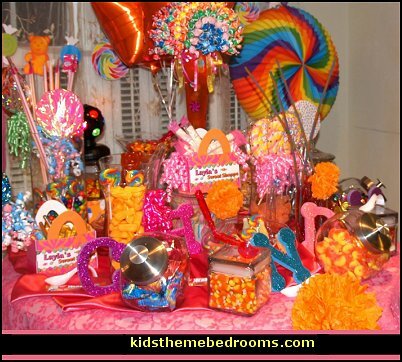 With over 34,000 online party products including party decorations and party favors that you can't find in box stores. Gossamer fabric is a see-through decorating material used to create dramatic effects. Gossamer is great for party decor .. .. whether as a table runner or for draping. Use gossamer to drape from ceilings, wrap columns, accent tables, or create shimmering backgrounds and chair swags! Can be tacked up, taped up or just draped over something so no adhesive has to be used. 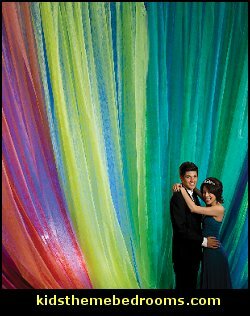 Gossamer fabric can be the green vines on your jungle's tree or a white sail on your party boat. Drape gossamer fabric over curtain rods. Swag a gossamer roll around a banquet table. Loop gossamer like garland on trees and staircases. Fashion gossamer wings for an angelic costume. Gossamer rolls add final accents to parade float decorations, too. 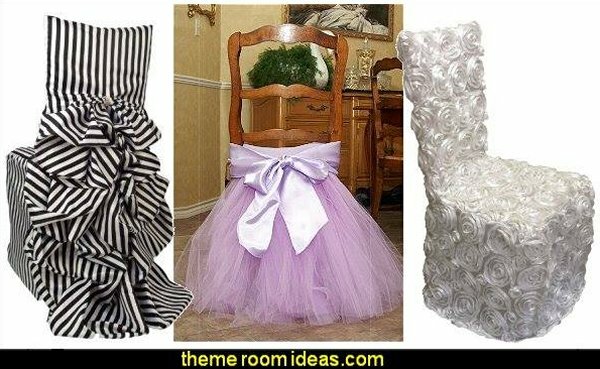 Great for wedding decorations also. 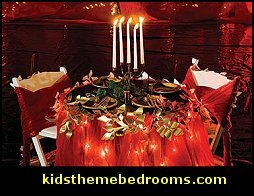 Drape the fabric on the ceiling over Christmas lights to create a beautiful glow. Add a little more bling - and spray with glitter. If you dream it, gossamer can become it. Great price for the amount of material received! Silver Shimmera is perfect to add elegance to your party with it's iridescent look. Nautical table setting such as the Treasure Bay Table Setting (shown left) is a great pick. Creates a fun, whimsical look that still feels elegant enough for a wedding. Create the table setting by covering your table with a dark blue tablecover. String twinkle lights under the tablecover for a romantic glow. On top of the table, add a layer of gold floral sheeting for a little texture. Edge the table by draping fishnet from the sides and securing a gold metallic streamer overtop, around the edge of the table. Create coordinating chair decorations by draping the chair in fishnet and using indigo gossamer to create a sash around the middle of the table. Add a Palm Tree Centerpiece to the middle for a finishing touch! If your party or wedding look is more romantic or exotic, with a color scheme featuring red, try our Music of the Night Table Setting (shown below), created by covering tables with red plastic table covers edged with gold die cut vines and pothos garlands. Cranberry gossamer is used to wrap chairs for chair bows that coordinate. Twinkle lights are strung under the table so they glow beneath the table cover. Add some gossamer to the edges for an extra full, sheer look. The table is set with gold plastic tableware and in the middle, add a bronze candelabra with taper candles. Beautiful, exotic fabric. Perfect for a Moroccan moonlight. super-sized birthday giant greeting card designs come in three sizes - 18 inches, 24 inches or 36 inches. These personalized giant birthday cards can be up to three feet tall. Whether you're decorating for a small birthday or a large quinceanera, start with knowing your colors and theme. So Many Theme Parties - whether you're hosting a weekend opener, Star a-Trek-tion party or a roaring twenties theme, your theme party will make the evening memorable. Make Your Child's Birthday Dreams Come True! 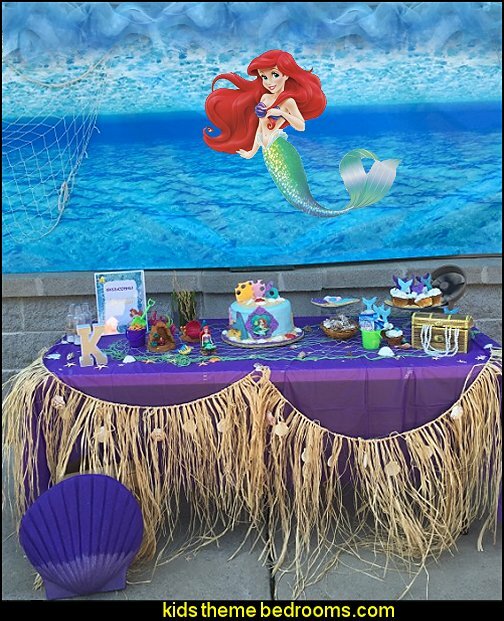 No matter what they're into these days, we can help you turn that obsession into a great birthday party theme! If you have an astronaut wanna-be, check out our outer space selection. Make your little ladybug have the time of her life with a ladybug-themed party. Or grab plenty of props for your airplane lover so they and their friends can earn their wings! Of course, we always have plenty of goodies on hand for your sweet little princesses or sports lovers, too! And remember, no party is complete without lots of balloons! Grab yours in colors to coordinate with your party, and don't forget some curling ribbon and balloon weights in complementary colors. Safari Party Themed Supplies. Host a safari party of wild fun and adventure! Nothing will be left untouched with these fun safari party supplies. 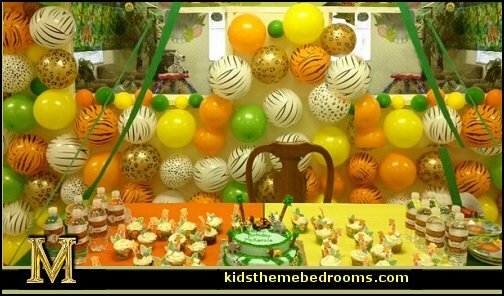 Use Shindigz safari party decorations to create a jungle in your own home. 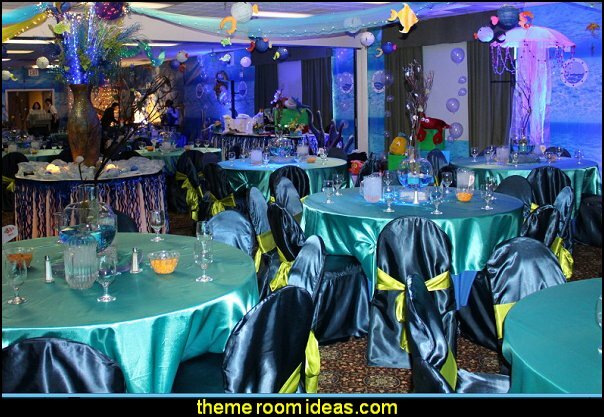 Fill the rooms with jungle party decorations inflatable animals standing on pieces of tissue grass mats. 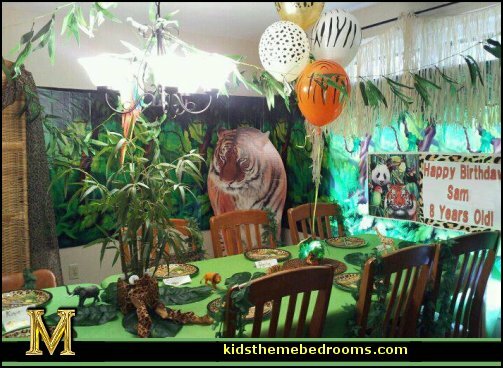 Create a simple backdrop for your safari party decorations by covering the walls with green palm leaf patterned gossamer or solid flat paper to which jungle wall decals are attached. Brown Earthtone gossamer fabric makes great backgrounds for your more earth-toned jungle party decorations like palm thatching and gossamer palm trees. These gossamer safari party decorations also look great disappearing behind of and in front of the Palm Horizon backdrop. Jungle party decorations animal standees are great for photo ops and for making a striking display. Provide guests with safari costumes so that they can fit into the authenticity created by the safari party decorations animal standees. Focus on the delicate nature of safari party decorations by filling the space with nylon butterflies, various colors of netting, and a pink, a white, a blue and a purple elegant tissue butterfly. These Hollywood party supplies and decorations will help your Hollywood theme party or Hollywood themed prom sparkle and shine! Use Hollywood decorations to set the scene and create swag bags of Hollywood keepsakes to make guests feel like celebrities at your event. 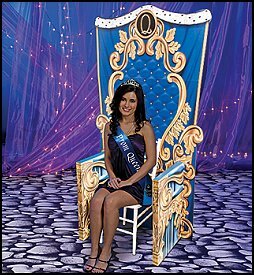 Host a high-society, Hollywood theme party or Hollywood theme prom. 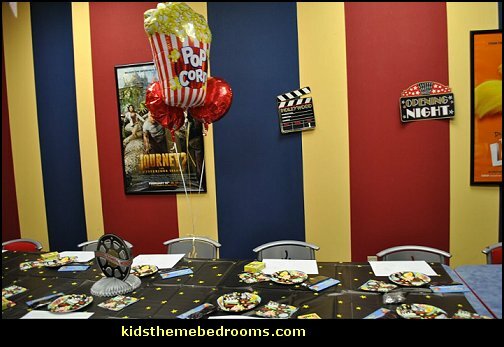 Decorate with Hollywood party supplies- film rolls, movie cameras, movie clapboards, boas, top hats, and plastic popcorn box! For black tie and other sensational affairs, order large decorations, and Hollywood props. 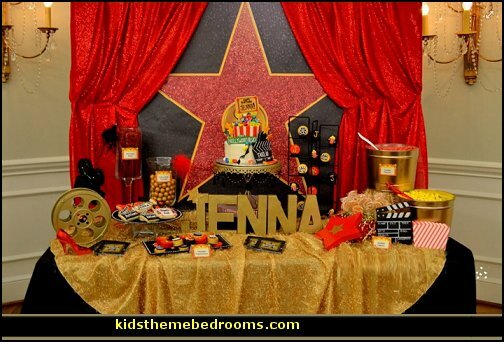 Let your Hollywood theme party or prom transport you to Tinseltown with decorations like this phenomenal Hollywood Walk of Fame kit for a showy, Hollywood entrance. 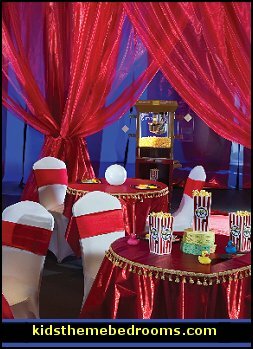 Star gossamer fabric will help transform your gym into a posh club and you can send prom-goers home with memorable gold movie ticket custom glitter frames personalized with your event name! 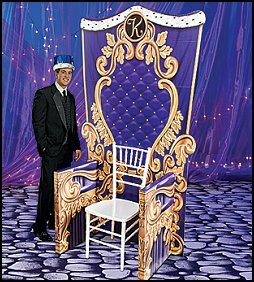 Invite your favorite celebrity cardboard cutouts to create talk and photo ops at your Hollywood theme party or prom! Get your Hollywood party started with some movie trivia with classic movies table tents. 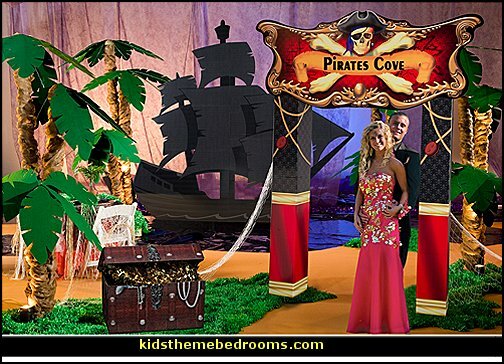 Pirates Cove Decorations will transform any party venue into a time when pirates ruled the high seas. These exclusive Pirates Cove Decorations will set the mood for swashbuckling and flamboyant adventures. Every pirate worth the peg leg he stands upon needs a skull and crossbones flag to fly above the pirate decoration treasure he's about to claim. Pass these pirate party tableware around to your crew. Let them drink from a coconut cup and bring it home as a pirate keepsake, too. Set your table with pirate table supplies like black tableware that matches pirate themed napkins. 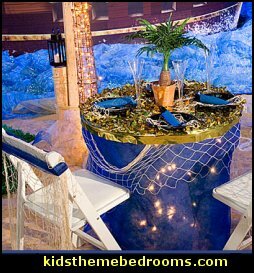 A fish net decoration, an anchor centerpiece, and other pirate table supplies create a pirate's cove table. Ahoy! It's time for cake! Place your pirate ship cake on a dark blue water patterned gossamer covered cake board for a realistic touch on your pirate party tableware. Create your own fairytale with this Fairytale Dreams Kit! These cardboard free-standing Castle Walls are printed on one side only and feature grandiose gold swirls. Each castle wall measures 5 feet high x 3 feet 10 inches wide. Easy assembly. Four magnificent Fairytale Castle Towers are included to help you complete your kit. Each Castle Tower is made of cardboard, is free-standing and measures 12 feet high x 1 foot 4 inches deep and comes printed on all sides. Easy assembly. We've included two Fairytale Castle Columns made of cardboard, measuring 9 feet 4 inches high x 1 feet deep which are free-standing and printed on all sides. Easy assembly. 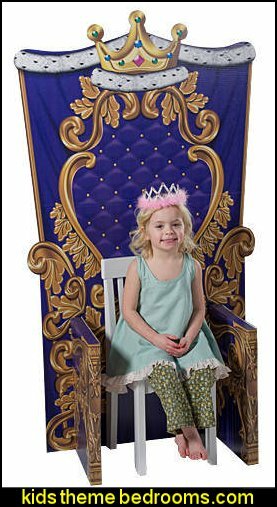 This stunning cardboard Fairytale Castle Arch is printed on all sides and easy to assemble measuring 7 ft 4 inches high x 7 ft 10 inches wide. 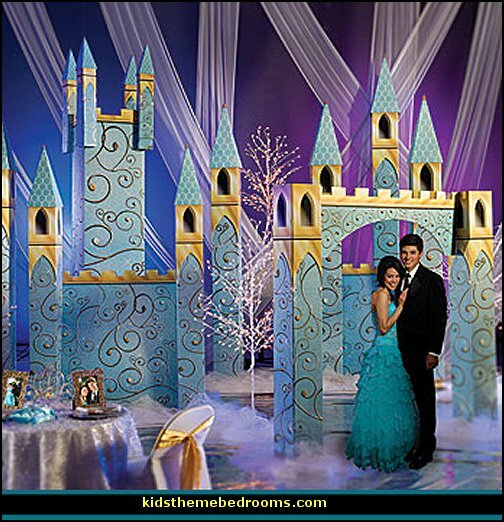 An exquisite Fairytale Castle with Turrets completes the fairytale scene for your event. Our Castle with Turrets is made of cardboard measuring 11 feet 2 inches high x 3 feet wide and is printed on all sides. Assembly required. Two White Lighted LED Trees will give your event that romantic look and feel with true beauty! Each 7 ft high tree includes over 280 clear LED lights. Assembly required.Trees may vary slightly from what is shown. 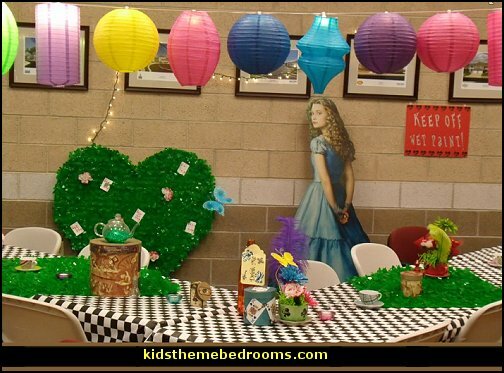 Alice in Wonderland party supplies transport party guests down a rabbit hole and into the whimsical realm of Alice, the Mad Hatter and the infamous Red Queen. As the Cheshire Cat would say, "we're all mad here" - mad over your upcoming Alice in Wonderland party, that is. 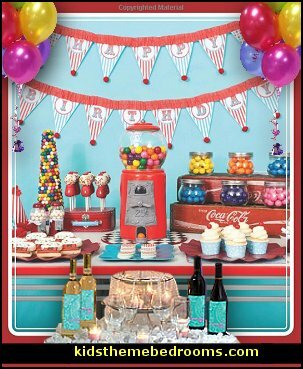 Create the perfect sock hop or rock n' roll party atmosphere with cool 50's theme party decorations! 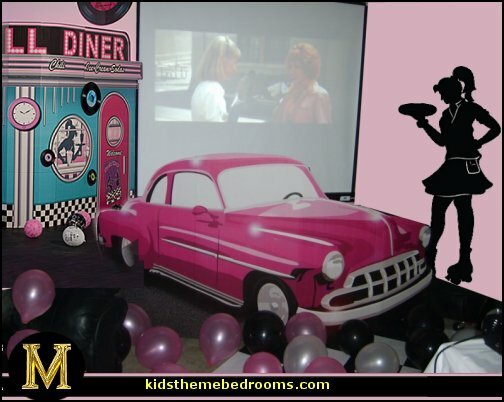 A Fabulous 50's door curtain on the entryway or the Soda Shop mural on a wall are just a few examples of 50's party decorations that will transport your guests to the 50's. Hit of the Party has been reviewed as "the best book on the market for planning and giving children's theme birthday parties" by the American Library Association's Booklist, Better Homes and Gardens, Childsplay Magazine, Pittsburgh Parent, Iowa Parent & Family, San Jose Mercury News, and more. Vangsgard's party plans follow common themes: cowboy, pirate, dinosaur, circus, space, etc. However, these are party plans often called for by younger children, and Vangsgard exhibits much depth of planning and creative detail. She has ideas for making your own stickers and face paint, building game structures and pinatas, and fashioning cakes in original patterns. For those parents who haven't the time or motivation for do-it-yourself projects, Vangsgard offers plenty pf suggestions for adding a personal touch to commercially available prizes, cakes, and other items. 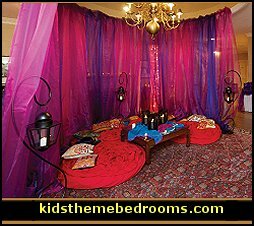 The general planning and scheduling guidelines are excellent as is the advice for gearing the party to the child's age. Hit of the Party is a valuable resource for parents who want to give their children memorable birthday parties without spending a lot of time or money, or whenever the need arises - like on a rainy day--when there's "nothing to do." The book can also be used by teachers and librarians who want an easy-to-make craft, costume, or decoration to enhance their "Reading Appreciation" programs. James Bond Theme Party Secrets With 007 enjoying something of a renaissance, the the number of people throwing James Bond themed parties has soared and so too the demand for information. After all it's easy to dress a tuxedo or cocktail dress, but that hardly makes it a James Bond themed party. So with that in mind the aim of this book is simple - to provide ideas of how to organize and James Bond theme party as host; and to sow the seeds of your imagination in order to pick a costume that will really set you apart. Plus many things to do with more elderly party-goers. And, many ideas can be modified for memory care needs. 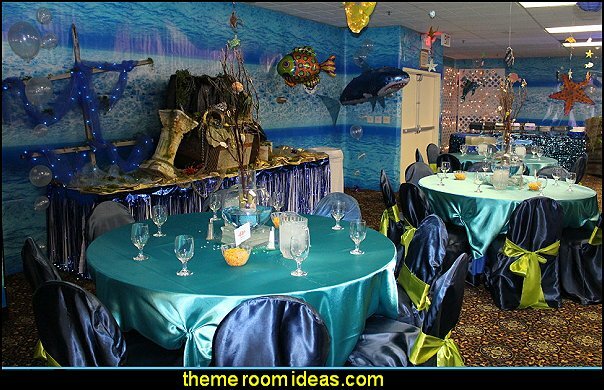 Also see how many of these party ideas can be incorporated into, and enhance, other standard themes such as a birthday party, anniversaries, holiday parties, etc. If you're elderly parent or grandparent is just moving into a retirement home and doesn't know anyone, it might be nice to see if they will let you organize a small party to introduce your parent to everyone and give the residents something fun to do. It's a great way to get to know people, and you will hear some interesting stories. There are some nice ideas in this book if you are struggling for an overall party theme, or just a fun activity for a couple people looking to try something new on the fly. It's got some tasty food and drink recipes too. 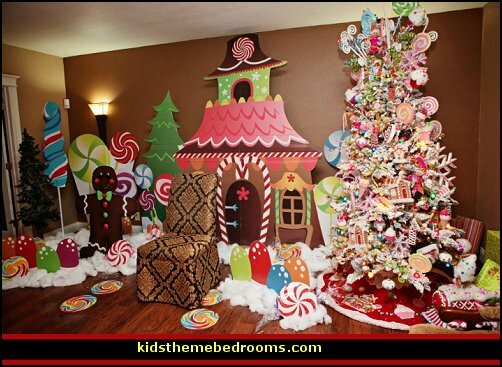 How to create fun, memorable parties for our kids from items in our own homes or from our own backyards. Has your child ever wanted an art party? How 'bout a spa-day for your little girl or a costume party for boys or girls? These are just a few of the fun ideas coming from this book, and Anni helps to create everything you need from the very basics. She shows us how to make sweet handmade invitations and décor and guides us through the activities and recipes. Everything is created from household goods sitting around your home or from thrift stores. Learn how to host theme parties that will make your event stand out from all the rest.This simple guide for successful party planning includes 33 party themes based on historical periods, travel locations, movies, books, holidays and more. Delight your friends with a 1920's Speak-Easy, a Sizzling Red Hot Birthday, a Sunset Caribbean Caper or a "Mad-Hatter" Bridal Shower. Also included are clever ideas for invitations, decorations, party favors, food displays and fun activities for your guests. You'll be the hostess with the most creative ideas when you plan your next party using Flamingos, Poodle Skirts & Red Hots.